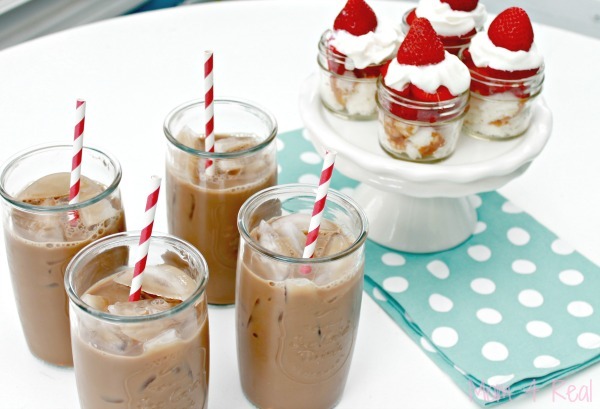 I am obsessed with mini desserts…like, ridiculously obsessed! 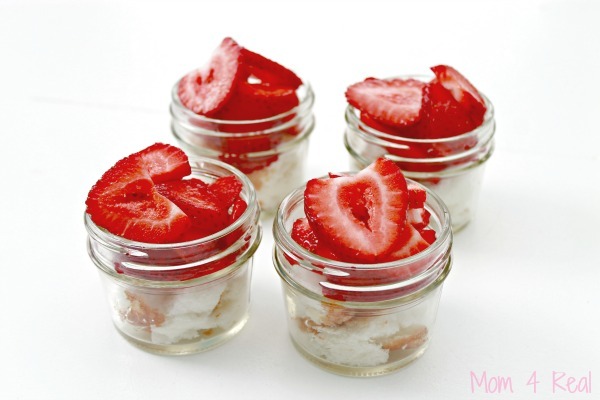 I mean, what’s cuter than a dessert in a mini mason jar? 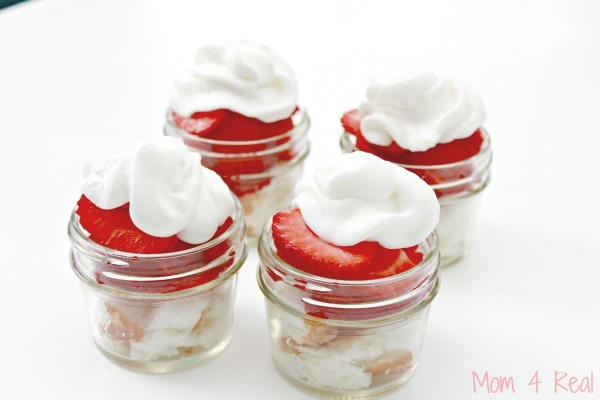 A couple of months ago, I shared my Mini Chocolate Pudding Pies, and they were a HUGE hit, so I thought I would share another fun mini mason jar dessert…Strawberry Shortcake! 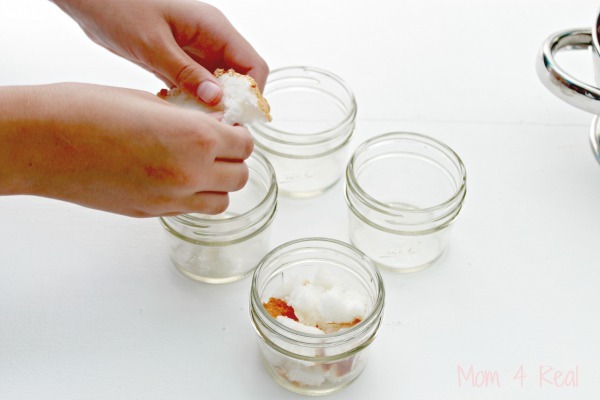 They are super simple to prepare and your guests or family will love them! My daughter, Kate, helped prepare these for lunch with a friend and her mom, and we are going to pair them with International Delight Iced Coffee in Light Mocha! 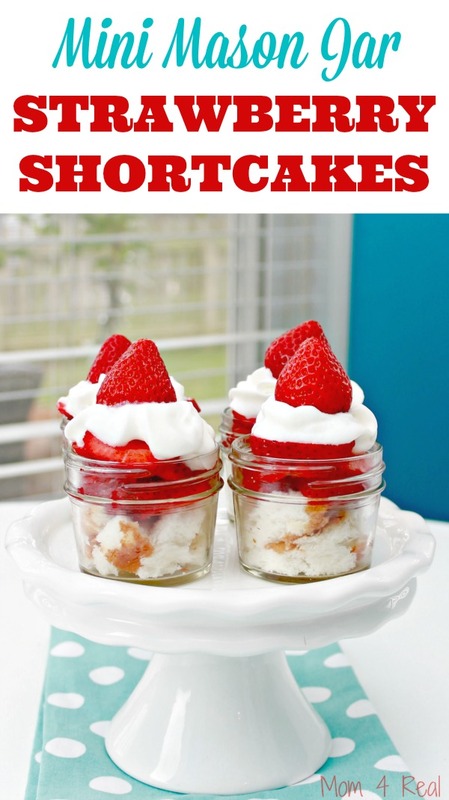 You will need some small jars, fresh strawberries, angel food cake and whipped cream. 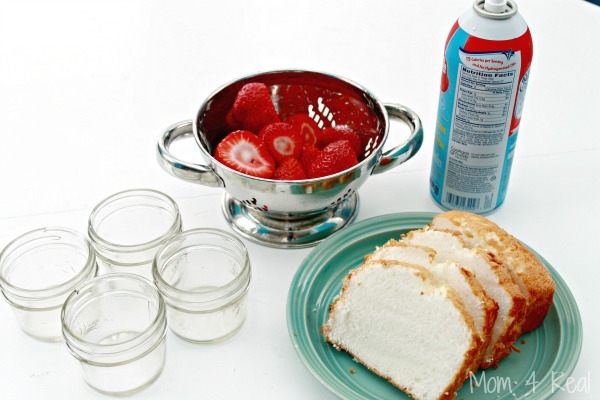 Tear the angel food cake into small pieces and fill the jar about 3/4 of the way up. Next, slice some strawberries. 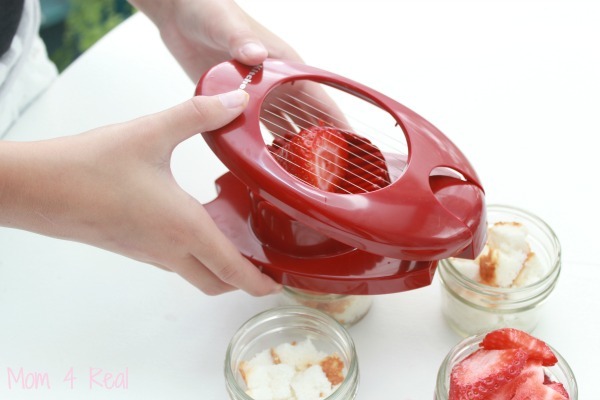 We like to use a boiled egg slicer to get perfectly sliced strawberries. Now stack the sliced strawberries on top of the angel food cake pieces so that they fill the jar and a little above. Kate added an extra strawberry to the top just to finish them off. Didn’t they turn out super cute, and they are mini, so you can feel good about having a little dessert! Heck, you could even have these for breakfast…right? We are serving them up with our favorite International Delight Light Mocha Iced Coffee…it’s the perfect summer refresher to go with dessert! 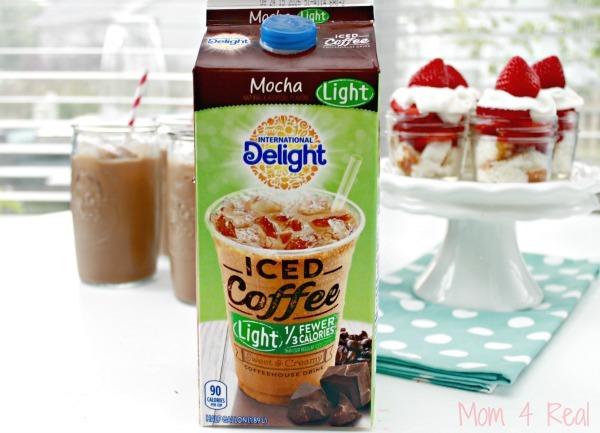 This iced coffee has become a family favorite that I keep on hand at all times! It’s our favorite…sometimes I even have in instead of my morning coffee when it’s hot outside!